One of the area’s most picturesque neighbourhoods, Baby Point offers a prosperous history and lifestyle, where lush nature and salmon spectating meet eclectic restaurants, workout studios and shops. Located on a peninsula in a bend of the Humber River, Baby Point has a rich history dating back to the 1600s when it was a fur trading village of the Seneca Nation. In 1816, the Honourable James Baby (pronounced “Bobby”), a member of a prominent fur trading family, settled here. A century later, the modern-day Baby Point subdivision was established. Baby Point’s rich heritage continues today in this exclusive west end neighbourhood, which offers large, historic homes, and plenty of shopping opportunities and restaurants. This includes two shopping districts on Annette and Jane Streets that offer something for every taste. In addition, the Bloor West Village shopping district is only a short 15-minute walk away. If you own a home in Baby Point, you’ll also enjoy many recreational opportunities. Surrounded by parkland and with easy access to the river and a hilly terrain, residents can walk, jog, cycle or cross-country ski on a paved trail that follows the Humber River, as well as plan picnics or go fishing. In particular, Baby Point is known for its annual salmon run near the Old Mill Bridge, when hundreds swim upstream and jump the low dam to reach the Humber River headwaters and their spawning ground. Many homes in Baby Point were built in the early 20th century in the Tudor or manor style, and are located on tree-lined streets. Given its lush tranquility, vibrant social life, minimal street traffic and close proximity to parkland, shopping and other amenities, this tiny residential neighbourhood is highly coveted – a home in Baby Point can easily top $1.5 million. In addition, listings are rare and often go quickly. If you’re interested in Baby Point real estate, you’ll need to be patient, ready to move at a moment’s notice and willing to pay for the privilege. 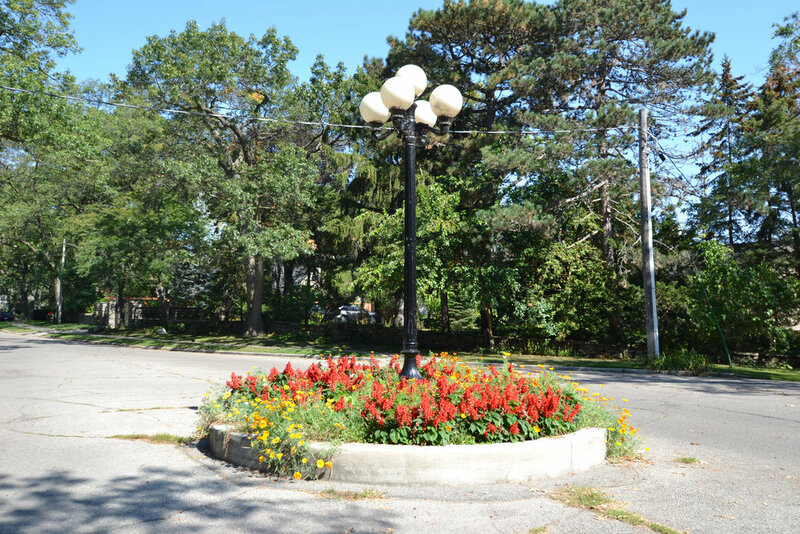 Located northwest of Bloor West Village and west of The Junction, Baby Point offers easy access to both, as well as other major points in the GTA. 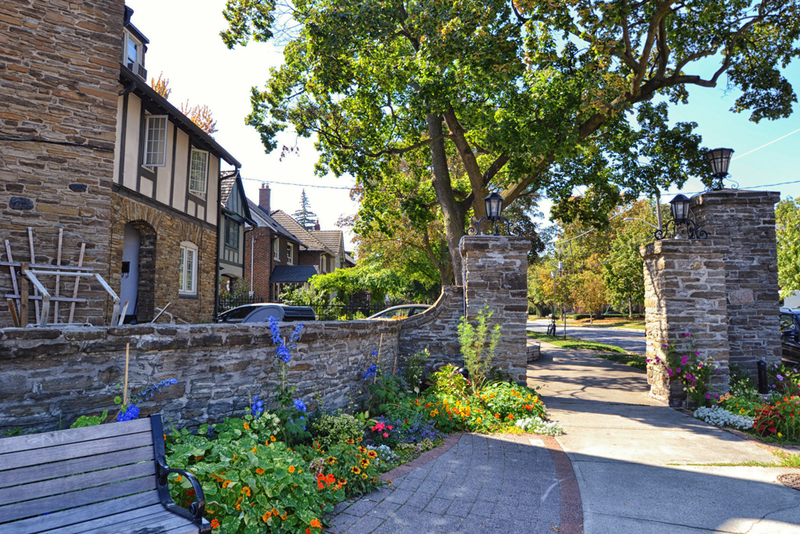 It is only a 15-minute walk from the iconic Baby Point stone gates at Jane Street and Baby Point Road to the Bloor-Danforth subway line, which is also accessible by the Jane Street bus. In addition, motorists enjoy easy access to Lake Shore Boulevard and the Gardiner Expressway via the South Kingsway, or a straight drive up Jane Street to the 401 and the airport. Interested in a Home in Baby Point? We have helped countless others find their perfect Toronto home. For more information about Baby Point real estate, contact Rayissa at 416-400-0805 or complete our contact form.